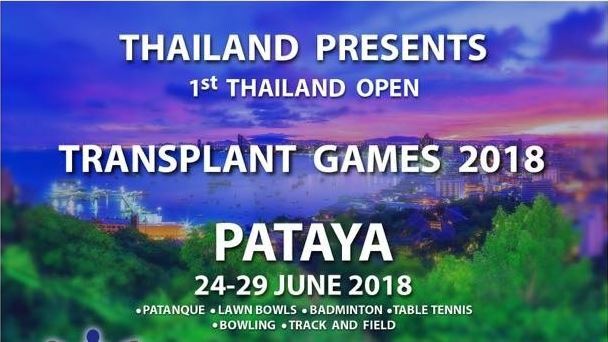 Thailand is inviting Australian transplant recipients, living donors and supporters to their national games from 24th -29th June in Pattaya. 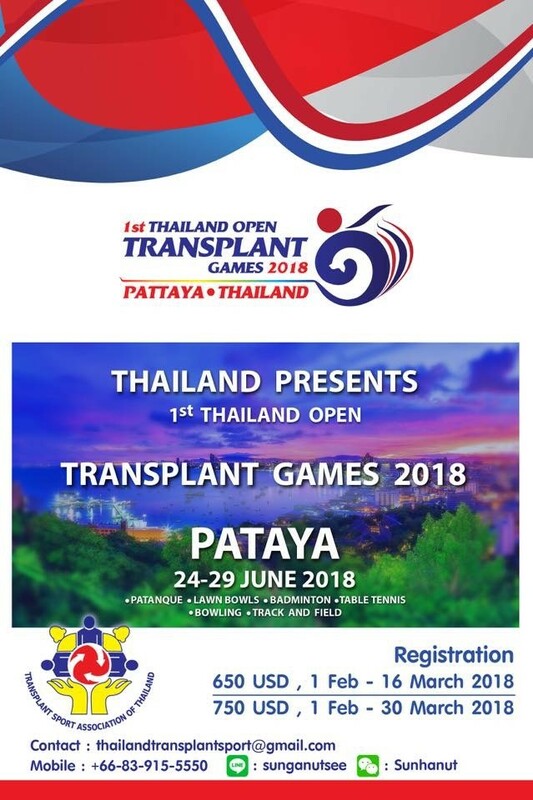 Registration costs include accommodation (twin-share), food, sports, social events and transport. The early-bird special of $650 (USD) closes on 16th March; then the price goes to $750 (USD) and registration closes on 30th April 2018.